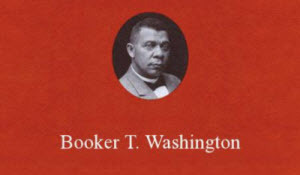 The pamphlet Cocke created had numerous and extensive rules for the treatment of his slaves. The pamphlet started with six major rules as well as extensive additional notes and explanations regarding discipline. The first four rules covered traveling with passes, selling items from the plantation, fighting, and for the slaves to give “proper accounts” of themselves and any visitors to the plantation. The fifth rule prohibited quarreling, and the sixth rule stipulated that every slave “shall appear with a clean shirt, and decent clothes on every Sunday morning.” After the sixth rule, Cocke provided additional explanation about the enforcement of the first six rules. As this document indicates, discipline and punishment were an essential part of John Hartwell Cocke’s plantation regime. As he noted, “you can never be too severe” but yet other parts of the regulations begin to indicate another side of Cocke’s life and the complexities of plantation management. The sixth rule regarding clean shirts suggests the importance of religion in Cocke’s life and his recognition that some slaves could be “rewarded” for good behavior also suggests the complexities of the relationship between Cocke and his slaves. In fact, John Hartwell Cocke was a rather complex figure. As a planter, Cocke was interested in improvements in agricultural practice, and he campaigned against tobacco as a cash crop. Cocke’s opposition to tobacco planting was indicative of a more general reform spirit that characterized his life. Cocke became involved in educational reform, helping to establish the University of Virginia and schools for women, and he also tried to extend the benefits of education to his slaves. He established a school on his Upper Bremo plantation and some of his slaves learned to read and write. In 1833, Cocke freed his slave Peyton Skipwith and his family so that they could start a new life in Liberia. In 1840, Cocke sent 49 slaves to work on his Hopewell and New Hope plantations in Alabama. Correspondence from the Skipwith family in Liberia and from the slaves that went to Alabama is one of the most remarkable parts of the Cocke Family Papers. The Cocke Family Papers are of outstanding value to students of this time period because they document many different aspects of the system of American slavery. Perhaps the most unique aspect of the Cocke Family Papers is the extent to which the collection documents the lives of Cocke’s slaves and former slaves in their own words. The papers include correspondence between several members of the Skipwith family and Cocke beginning in 1833, when Cocke emancipated Peyton Skipwith and his wife, Lydia. Letters from Liberia from Peyton Skipwith, Nash Skipwith, Matilda Lomax, and James Skipwith report on conditions in Liberia, indicate the level of education attained by Cocke’s slaves, and also provide insight into the relationship between the slaveowner and his former slaves. Letters from George Skipwith, the slave overseer at Cocke’s Hopewell, Alabama, plantation, and from George’s daughter, Lucy, who established a school at Hopewell, contain detailed information on the conditions, events, and problems faced on Cocke’s plantations in Alabama. In addition to the letters from the Skipwith family, many pieces of correspondence in the Cocke Papers indicate that Cocke possessed a highly skilled work force. Scattered throughout are letters discussing the hiring out of slaves, many of which include prices to be paid for services rendered. For example, a January 15, 1835, letter from George A. Payne proposes the rate of $10 per month for an experienced groom to attend to his horse. Documents from 1827 and 1831 record the names of and fees for slaves hired out by Cocke. The Cocke Family Papers is just one of the extraordinary collections in History Vault’s two-part series, Southern Life and African American History, 1775-1915, Plantations Records. Taken together, Part 1 and Part 2 of the Plantations series feature collections from eight important archival institutions that hold records on Southern Plantations. Collections in Part 1 are from the holdings of South Caroliniana Library at the University of South Carolina; Maryland Historical Society; Howard-Tilton Memorial Library at Tulane University; Louisiana State Museum; and the Louisiana and Lower Mississippi Valley Collections, Louisiana State University Libraries. 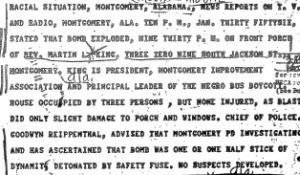 The records presented in Part 2, including the Cocke Papers, come from the holdings of the University of Virginia and Duke University. For more information on Southern Plantation Records, as well as the Slavery and the Law collection in History Vault, please see the brochure. 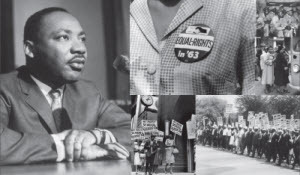 Learn more about Black History, request a Curriculum Analysis and free librarian trials of History Vault records on Southern Life and Slavery, as well as related ProQuest resources like Black Abolitionist Papers, Black Studies Center, and more. The fifth rule prohibited quarreling, and the sixth rule stipulated that every slave “shall appear with a clean shirt, and decent clothes on every Sunday morning.” After the sixth rule, Cocke provided an additional explanation about the enforcement of the first six rules. The Cocke Family Papers are of outstanding value to students of this time period because they document many different aspects of the system of American slavery. Perhaps the most unique aspect of the Cocke Family Papers is the extent to which the collection documents the lives of Cocke’s slaves and former slaves in their own words. The papers include correspondence between several members of the Skipwith family and Cocke beginning in 1833, when Cocke emancipated Peyton Skipwith and his wife, Lydia. Letters from Liberia from Peyton Skipwith, Nash Skipwith, Matilda Lomax, and James Skipwith report on conditions in Liberia, indicate the level of education attained by Cocke’s slaves and also provide insight into the relationship between the slaveowner and his former slaves. Letters from George Skipwith, the slave overseer at Cocke’s Hopewell, Alabama, plantation, and from George’s daughter, Lucy, who established a school at Hopewell, contain detailed information on the conditions, events, and problems faced on Cocke’s plantations in Alabama. In addition to the letters from the Skipwith family, many pieces of correspondence in the Cocke Papers indicate that Cocke possessed a highly skilled workforce. Scattered throughout are letters discussing the hiring out of slaves, many of which include prices to be paid for services rendered. For example, a January 15, 1835, letter from George A. Payne proposes the rate of $10 per month for an experienced groom to attend to his horse. 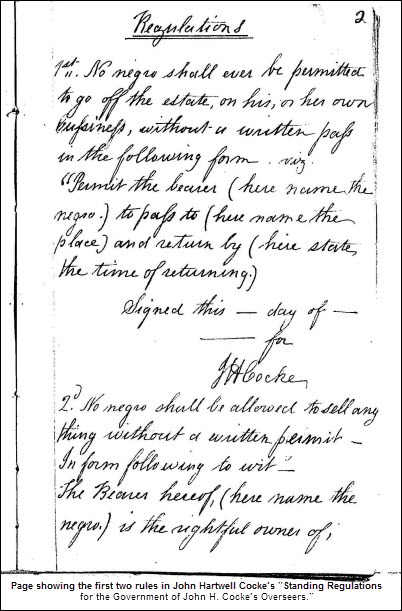 Documents from 1827 and 1831 record the names of and fees for slaves hired out by Cocke. For more information on Southern Plantations Records, as well as the Slavery and the Law collection in History Vault, please see the brochure. Learn more about Black History, request a a Curriculum Analysis and free librarian trials of History Vault Records on Southern Life and Slavery, as well as related ProQuest resources like Black Abolitionist Papers, Black Studies Center, and more.